The Japa Log Deck is a simple frame construction supplied with 2 x support rollers. 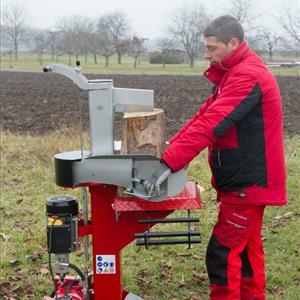 The Deck allows the operator to continuously operate the firewood processor without stopping to lift the next log into the machine. The width and height are adjustable.